Will Novatech's high-performance laptop fit in with your lifestyle? The X70GTX from Novatech is a machine created to fit in with your lifestyle – stylish and portable whilst being powerful enough to handle demanding media playback and games. It's a machine that would look great in anybody's front room. The attractive brushed-aluminium-style casing looks fantastic, and the button layout is simple and minimalist. Unlike laptops from other manufacturers, the X70GTX isn't plastered with its maker's name – in fact 'Novatech' doesn't appear anywhere on the body. This is quite refreshing and shows that Novatech have been serious about creating an aspirational laptop that fits into your home on its own merits. Inside the X70GTX is just as impressive as the outside, with an Intel Core 2 Duo mobile processor and 4GB of DDR3 RAM giving the laptop plenty of power. It may not be the smallest laptop out there, but it is easily portable and can give a lot of desktop PCs and desktop replacement laptops a run for their money. Even some of the latest games available can be played without problem, with an Nvidia GTX260 1GB graphics card proving itself more than capable of reproducing fantastic graphics on the 15.4-inch TFT screen. The screen itself is bright (though automatically dims itself when unplugged from the mains to conserve battery power) and is capable of displaying 1,680 x 1,050 resolutions. High-definition video can be played at 720p resolution and the X70GTX doesn't struggle at all with the workload – unlike other supposedly high-definition-capable laptops. The fact that this laptop is designed to be used around the house is evidenced by the rather short battery life. With all the power behind the scenes it was always inevitable that the battery life would suffer, and with only around four hours between charges you're not going to be travelling far from a power socket with this laptop. 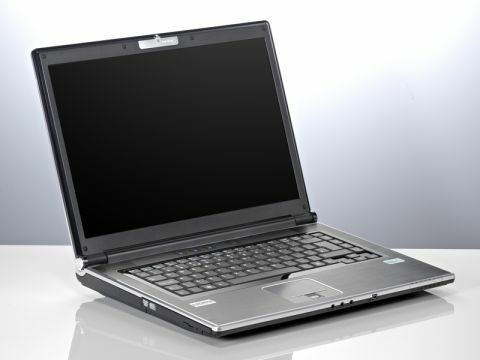 But then outdoor computing isn't exactly what this machine was built for, and if you do fancy taking it out and about with you then you'll find it a great laptop – whilst the battery lives. There are some nice additions such as HDMI out, built-in wireless and a webcam that makes this laptop as versatile as it is stylish. As long as you don't aim to stray too far you'll find the Novatech X70GTX to be a perfect laptop companion.